Published Aug 25, 2016 by Pearson IT Certification. Part of the LiveLessons series. 7 hours of concentrated training on the CISSP exam’s most challenging concepts along with exposure to the most common exam traps, pitfalls, and difficulties. The author additionally walks through sample questions for each domain in the exam, so you can see the types of exam questions you’ll experience and learn how to work through complications and snags you might find on the exam. This is the perfect course for anyone about to take the exam. CISSP Exam Prep LiveLessons provides 7 hours of deep-dive training on common CISSP exam traps, pitfalls, and difficulties. The goal of the CISSP Exam Prep LiveLessons is to give you the edge you need to pass the rigorous CISSP exam and successfully gain certification. This course is designed to familiarize you with test-taking strategies, review “must know” and “challenging” concepts, practice answering exam questions, and most importantly, give you the confidence to pass your exam with flying colors. This course is NOT designed to be a comprehensive study guide. Instead we will be focusing on components of the ISC2 CBK (common body of knowledge) that fall into one of four categories. 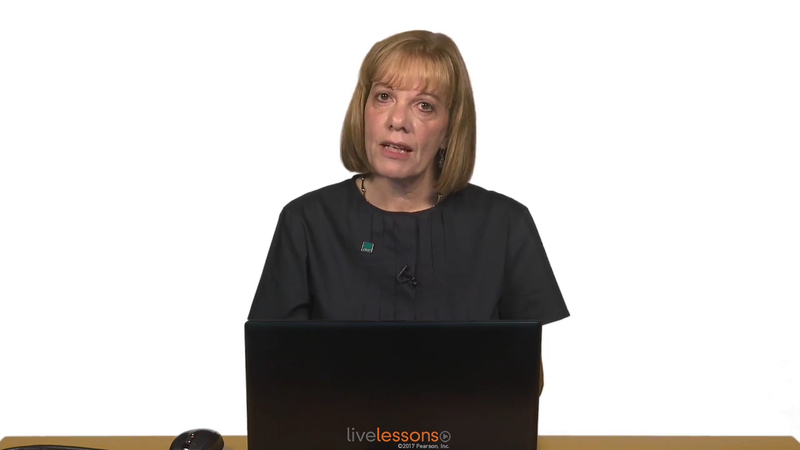 Sari Greene, best-selling author of the CISSP Complete Video Course, will also walk you through practice questions throughout, highlighting how to answer difficult questions and reduce errors. She will end with a discussion on winning exam day strategies, so you can make the most of your time as you prepare. This is targeted exam prep training, so you can make the most of your knowledge when taking the test. This title includes access to the interactive quizzes the author uses throughout the course so you can test your knowledge and compare your results with the author’s training. 1. Areas that many candidates have found difficult, such as cryptography. 2. Foundation concepts and models that are generally unfamiliar; for example, * and simple properties, the relationship between the OSI and TCP/IP models, and OECD privacy principles. 3. Emerging topics such as Federated Identify Management, IP Convergence, and Information Security Continuous Monitoring (ISCM) processes. 4. Specialized areas of knowledge such as digital forensics, mitigating source code flaws such as XXS or SQL injection, and software development processes.